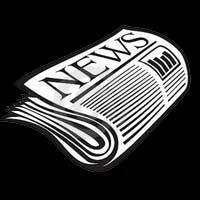 A Message from the 2nd Vice President – 05-2018 | F.F.A.M. On April 19, I attended a benefit for the FFAM museum in Columbia at Pot Belly Sandwiches. The evening was a great night of fellowship and raising funds for this project. Thanks to Gail Hagans and Dr. Baker for the invite. On April 20, I travelled to Las Vegas to attend the National Academy of Emergency Dispatch, Priority Dispatch Navigator Conference. At the conference emergency 911 dispatchers were attending classes to better their education in emergency dispatch. I was in attendance teaching the fire dispatch class for priority dispatch. 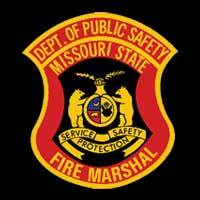 If you would like to have your dispatchers learn more about fire dispatching thru priority dispatch, please contact me. 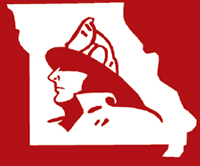 On April 28, I travelled to Madison, Missouri and attended the annual fund raiser for the Madison West Monroe Fire Protection District. They had a fish fry that night with all the trimmings, fried potatoes, hush puppies, baked beans, desserts, and drinks. This benefits the department with equipment and other needs for the district. Thanks Chief Larry Jones and staff for your great hospitality, you got me hooked for next year. The FFAM convention just ended in St. Joseph. The FFAM membership voted to include EMS agencies and also 911 dispatch centers as members. They will hold an associate membership. They will have the same benefits as the members, they just can’t hold an elected office. If your EMS agency or 911 center would like to become members please feel free to contact me. 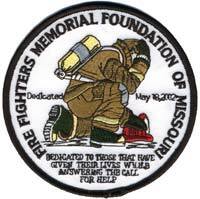 On May 19, is the Annual Candlelight Service at the Fallen Firefighters Memorial in Kingdom City and on May 20, is the Memorial Service where we honor those individuals that have given their lives in the line of duty. If your schedule permits please try to attend one of these services I highly recommend this. You will not be disappointed. On June 2, as President Hoover has stated, this will be a historical day for the FFAM. The FFAM history is going to be moved to Kingdom City to the memorial for storage until the museum is built. The FFAM history has been stored in the basement of the Late Jack Asher and current historian Kay Asher at no charge to the FFAM. Thank you Kay Asher for your generous donation to the FFAM for storing the history for free for all these years. It has not gone unnoticed. Before we know it the Missouri State Fair will be here. The state fair committee has been busy getting things ready. They have work weekends scheduled for June 8-10, and July 13-15. If you would like to help out please contact Monty Thompson. 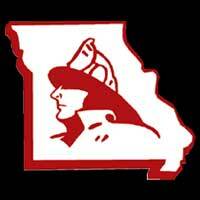 In closing, if you would like for me or your area director to attend one of your events or need any assistance from the FFAM please let us know. I can be reached by email at grant_oetting@yahoo.com or my cell phone at 660-229-4525. Stay safe everyone.